Christmas and New Year are the busiest times of the year for home sitting as people all over the world travel to visit family, take vacations, or simply take advantage of the long public holidays to travel abroad. And remember, in Australia, which is one of the most popular countries for house sitting, it is the height of summer so the opportunities are even greater. 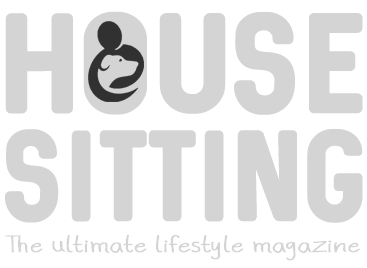 In fact, if you are starting out as a house sitter, Australia is a great place to begin as you’ll find many opportunities through a number of different house sitting websites. Some city destinations are very competitive, so be selective when applying to avoid disappointment. Make sure your profile is up-to-date, and you’ve got all your references ready to share with prospective home owners! Australia aside, you’ll find house sits all over the world in some stunning destinations that might just be out of your reach financially as a tourist! And remember it’s culturally so much nicer to be able to experience a new city as a temporary member of the local community. Where can I house sit at Christmas? As mentioned, pretty much anywhere, but the popular cities like London, Paris, New York, Sydney etc., do tend to get a LOT of applications per sit. You can try either booking early (we accepted our Christmas sit in London 6 months ago), or leave it until last minute. I’ve just taken a quick look across the major house sitting websites for the dates 17th December to 6th January and there are over 1800 house sits available worldwide! Let us know where you end up house sitting by telling us in the comments below! One of the most beautiful cities in Europe to visit at Christmas is wonderful Amsterdam. We had the chance of looking after a fabulous period home with views over a canal there and this was a real treat. In this touristy city, having a home is a great way to escape the crowds and you may be surprised by how dynamic and varied the city is, even outside of the main tourist sites. Amsterdam has a stunning historical center and it truly sparkles during the festive season. The Light Festival runs from mid-November and the city’s canals get decorated with light installations by artists from all over the world. Something not to be missed. The large area in front of the museums gets its own festive makeover with Christmas stalls and an ice skating rink and you can taste local seasonal foods such as “olienbollens”, a sort of deep friend doughnut, which we first discovered in our neighborhood market. The city is cold in this season but this means that you get better deals on train and flights into the city, which are pricey in summer and spring, when tulip season is in full bloom. There are so many awesome things to do in Amsterdam over Christmas whether you are house sitting solo, as a couple or as a family – check out this guide for much more information. For me, the best place to house sit during Christmas time is in Boone, North Carolina, USA. While living there through grad school, I’d house sit for those folks who vacationed to warmer places. If you wish for a winter wonderland, it’s the best place to be. During winter time the trees are covered in glistening snow, while houses are well-lit with miles of decorative Christmas lights. You get to see them all because Boone, NC is literally on top of a mountain. Boone, NC is also known for its great ski-resorts, and a lot of tourists go there every year just for that. Visiting Boone during Christmas may mean you’ll pay $200-$300 US per night for a hotel stay. So house sitting during this time isn’t only magical, it saves you a lot of money on accommodation too, leaving you more money in your budget for the authentic food, shopping, restaurants, hiking trails, snow sports, fine arts performances, etc., which will make your Christmas house sit special. I couldn’t believe my luck when I landed a holiday house sit in Brussels, Belgium – a city known for the world’s greatest frites, chocolate and beer. Brussels in winter is magical, and from December until early January the whole city transforms into a winter wonderland. It’s complete with adorable Christmas markets, mulled wine, fresh fluffy snow, and cobbled streets decorated with lights. Because it is so well connected to the rest of Europe, it is easy to get to Brussels for the holidays. Buses and flights run daily, and you can also score awesome deals from London or Paris using Eurostar Snap. With Eurostar Snap, you choose the day you want to travel and they choose the train. Tickets start as low as 25 euros, a price practically unheard of for European train tickets. Eurostar snap only runs between Paris, London, and Brussels, so take advantage of the discount to spend Christmas in this magical city. You won’t be bored on your holiday house sit in Brussels at any time. But at Christmas be sure to explore the Christmas markets, the late night museum openings, and the free events happening daily at the Grand Palace. It’s all holiday themed and decorated to the nines. End your wonderland wanderings at the beer-lovers paradise: Delirium. I won’t waste your time telling you that Delirium has an amazing ambiance and is tucked away in a trendy side street that looks alarmingly like Diagon Alley. I’m not even going to mention the fact that every time you walk through those heavy wooden doors, you somehow emerge surrounded by new friends, the ten of you destined for late night frites, no doubt. No. I’ll just tell you this. Delirium has over 3,000 different beers in their humble cafe. Their menu is the size of an Italian Vogue! This holiday season, grab a house sit in Brussels. Soon, you’ll be happily journeying with a discounted train ticket to the place where they’ve mastered frites, chocolate, beer, and holiday magic. We’ve spent Christmas all over the world but one of our favorite house sit locations is Denver. The “Mile High City” has so much to offer during winter: proximity to mountain outdoor venues, a convenient transportation system, walkable downtown neighborhoods, and a surprisingly mild winter climate. Part of the fun in house sitting is getting to “try on” different lifestyles. In Denver proper, we were urban professionals in the trendy North Capitol Hill area which boasted luxury flats interspersed with hip 19th century heritage housing. This eclectic atmosphere was bolstered by an up and coming restaurant scene, boutique shopping, and specialty grocers. It was a quick Uber to LoDo (Lower Downtown) with tempting venues like Union Station, the 16th Street Mall and Larimer Square. While it snowed frequently during our stay, accumulations melted quickly and skies were cheerfully sunny much of the time. Later, we did a second sit in suburban Lakewood, a pleasant community from which we easily accessed the train into the city and enjoyed local hangouts. Florence, Italy – the not so good city in winter! When we landed a two week house sit in Florence over the holidays, we thought we were in for a magical trip. Unfortunately, our experience was not a good one and opened our eyes to the problem of over-tourism in Italian cities. We discovered again and again that Florence caters to tourists, not its residents. During the low tourist season, the city does massive amounts of construction, with roads torn up, buses rerouted, and large portions of art galleries closed. Since public transportation is so bad in Florence year round, there is a surprising amount of traffic. During the winter there was a thick smog over the city that irritated our lungs more than any other place we’ve been – and we’re city travelers! We like to house sit to experience the local way of life. In Florence, outside of the tourist center we found a neglected and downtrodden city, as funds are used to improve tourist over resident experience. Finally, air travel to Florence over the holidays is much more expensive than the rest of the year, so there is no advantage there. House Sitting over Christmas has its pros and cons but last year we had a sit in London, England and it was one of the best holiday seasons ever. The home was a small, but beautifully decorated and comfortable apartment with two gorgeous Bengal cats. It was located in a quaint little suburb with charming English pubs and shops right outside our door. Although not right downtown it was just a five minute walk to the underground which had us in central London within 20 minutes. Our little “town” was quite festive itself but once we arrived in the centre of London we were in awe. The streets were buzzing with life and many had incredible light displays hanging above. The windows of the famous shops like Harrods and Harvey Nichols were absolute masterpieces of Christmas scenes, and the old English pubs were serving up mulled wine and playing carols. Then there were the markets! It’s impossible to name everything there is to see in London at Christmastime but be sure not to miss Covent Garden, Borough Market, Carnaby Street, Hamley’s Toy Store, and Winter Wonderland in Hyde Park. For more ideas click here to read how we spent our days house sitting in London during this festive time. House sitting an apartment in Milan with no furry friends meant we were free to see more of the city in the evenings. Although December can be bitterly cold, I don’t think even a dog would want to move from a warm apartment; we found Milan a great city for Christmas. EasyJet has cheap flights to Milan Malpensa airport as long as you book ahead. It’s then a 45-minute bus trip to the city centre. A cheaper option is FlixBus, as the terminal is in the city within easy access of the tram system. Milan is known not only for fashion, but also for the amazing Duomo di Milano (dedicated to St Mary of the Nativity), with its famous Piazza that buzzes with activity, where people shop and browse the small Christmas market full of tantalizing food. The Galleria Vittorio Emanuele II shopping mall with its spectacular Swarovski Christmas Tree is beautiful too. But, one Christmas activity not to miss in Milan is an evening in the Piazza. The Mondadori Building balcony hosts an Opera Singer singing carols, with each of the building’s windows displayed as an advent calendar. Each evening a new window is uncovered with a musician accompanying the singer — a unique and special event. After a beachside Xmas house sit cancel on us in December 2016, we had to search for a replacement. To be honest, we were done with feeling sticky after 7 months of humidity in the Caribbean and Central America and welcomed a change in climate. Low and behold, Montreal showed up as an exact gap filler before we needed to start a 4 month long sit in rural Quebec, so we jumped at it! Our bus trip from Granada, Nicaragua across the border into Costa Rica saw us leave a balmy 29 degrees Celsius and arrive into Montreal at -28 degrees Celsius! The flight cost was very reasonable with Air Canada, if memory serves, roughly $230 each. Upon arrival, the first thing we did, despite our home owner meeting us at the airport with hats, scarves and jackets was to run outside and just “FEEL” what that temp is actually like! And it was soooo refreshing! For the first time in months I felt “clean”. Our apartment was near “Place des Arts” right in the city. The snow was piled high on the sidewalks, and everything looked so crisp and colourful with all the Xmas decorations in shop windows and lining the streets. We felt like kids again, so excited to be having our first true “White Christmas”. On Xmas day we cooked up a roast including brussel sprouts drizzled in maple syrup (winner) and around 3pm walked up Mont Royal in the most beautiful light to take happy snaps playing in the snow, to send to family back in Australia. We also experienced the wonderful light show inside of “Complexe des Jardin” and wandered thru the Christmas markets outside. On New Year’s Eve we traipsed with the crowds to Notre Dame and down to the Old Port to watch the midnight fireworks display, that actually could not be videoed due to the iPhone shutting down in the cold temperature! If you are a Southern Hemisphere native, we cannot recommend highly enough experiencing Montreal for the holidays. We loved our two weeks there and thoroughly enjoyed the extreme sub-zero temps – everything is so well catered for that you barely notice the cold! New York City at Christmas is on the wish list of so many house sitters. We managed to tick it off ours when we landed a house sit for a month on Staten Island over the holiday period. What made our stay in the city so much more special was that we had time to really enjoy it without having to cram everything in to just one or two days. With the weather over Christmas being so bitterly cold, it meant that we didn’t have to rush or spend hours traipsing round the outside attractions in order to see it all. We could simply head out, do one thing that interested us, and return to the house when it got too cold. Being on Staten Island meant we were getting the Staten Island Ferry almost daily, but since it was free that wasn’t an issue! It’s actually the one thing I’d recommend doing in NYC as you get the most amazing views of the skyline. We booked our flights early and used points to get the best deal and made sure we didn’t miss out due to it being busy. Public transport for getting around was great at that time of year though and we utilized it often! The island state of Penang, Malaysia is friendly, easy, and inexpensive, and this sit was the icing on the Christmas cake. We hit the newbie house sitter’s trifecta: we were already in the area; we were familiar with the local amenities; and we were available over Christmas. Our sit was only a 20-minute Uber ride to the heart of George Town, a UNESCO World Cultural Heritage site famous for its street art and historical architecture. And FOOD. Dining out on the fusion of Malay, Indian and Chinese cuisine is like a religion practiced daily by working folks, families, expats, and tourists alike. We visited Queensbay Mall, Gurney Plaza and Gurney Paragon Mall to gawk at the over-the-top Christmas displays. This holiday exuberance was surprising, considering Islam is Malaysia’s official religion. However, it exemplifies the friendliness and tolerance—but also the westernization—of this part of Malaysia. We watched giggling teenagers take selfies beside giant snowmen, and entire families pose for photos with Santa. And the malls are open on Christmas Day for non-stop shopping. Getting there: Penang has an international airport, with most flights arriving via Singapore or Kuala Lumpur. From the airport it’s a 30- to 40-minute Uber ride to the centre of George Town, or one hour to the beach resort area of Batu Ferringhi. As an added incentive to visit, citizens of several countries can enter Malaysia visa-free and stay for up to three months. San Antonio is a city in Texas in the United States. It’s southern location makes it a great year-round destination with usually mild winters. During the holidays, there’s not a better time to visit the city when millions of lights decorate the ever popular “Riverwalk”. Situated in the heart of downtown, you can stroll along its banks or take a river taxi with guides who share stories about the city and its history. Along the Riverwalk you’ll find all manner of restaurants, as well as the River Center Mall where you can shop for that last minute gift. During the day you can visit the historical mission, the San Antonio de Valero, known more commonly as the Alamo. After visiting the Alamo, walk over to the Menger hotel which touts itself as the oldest continuously operating hotel west of the Mississippi River. After exploring the lobby and viewing artifacts, take time out to enjoy a bowl of Menger Tortilla Soup followed up by mango ice cream. In the evening, try to catch a show at the beautiful Majestic Theater which is listed on the National Register of Historic Places. If you’re looking to do something off the touristy beaten path, go explore one of the hundreds of H.E.B’s, the state’s largest grocery chain, where you’ll find all kinds of foodstuffs and other items to carry back with you to remember your San Antonio vacation. We spent 8 months traveling and house sitting in Mexico and absolutely loved it. So much so that we returned for two repeat sits in the popular tourist and UNESCO World Heritage centre of San Miguel de Allende (SMA). One of those sits was over Christmas and New Year 2016. Something to remember about SMA is that it’s high! At 1900m it’s much colder in the winter and untypical of what you’d expect in Mexico. You’ll need layers, especially in the early mornings and evenings out of the sun. Homes have drafty nooks and crannies, even with heating. On the plus side, these cooler months meant we could finally get out of the oppressive summer heat and explore the countryside. We found mountain climbs, took long walks in the countryside under clear blue skies, and explored further afield to pueblos such as Mineral de Pozos, Dolores Hidalgo and even the fabulous city of Guanajuato. Christmas in Mexico appears to run throughout much of December and January! The “Posada” processions start from 16th December and culminate in SMA in “Centro” outside the Parroquia (the city’s cathedral) on Christmas Eve, or “Nochebuena”. Posada in Spanish, means “Inn” or “Lodging” and in the Mexico tradition there are 9 Posadas representing the story of Mary and Joseph looking for somewhere to stay. Each evening a cart is pulled around San Miguel by a couple of donkeys in different parts of the city. You can get the timetable for the Posada routes from the Biblioteca – also our favorite networking centre and coffee shop if we wanted to see what was going on in the city. Someone hosts a Posada party each evening, but you have to be in the know to get an invite! On the final night of Nochebuena we followed the procession down to Centro where the living nativity scene had been set up ready to receive baby Jesus. “Nacimientos” are the more common Christmas decoration and many families have elaborate Nativity scenes in their homes or gardens. Most pueblos, towns and cities have a public nacimiento and the baby Jesus is added on the night of Christmas Eve, with the three kings finding their place on January 5th. The main plaza at the Parroquia was overflowing with people – a mix of locals, tourists and expats, all celebrating by singing carols, watching staged music, eating, drinking, chatting and generally just enjoying this festive evening, in advance of the much quieter Christmas Day. Even if you aren’t religious or find Christmas overdone generally, you can’t fail to be drawn in to the festivities in Mexico – the color, the vibrancy, the food, the smells and of course the mescal or tequila, all conspire to draw you in and you’ll find yourself greeting everyone with a happy “Feliz Navidad” before you know it. If you are in SMA at any time, don’t miss the large Mexican market at the highest part of town on Tuesdays and Sundays – you’ll find local cheeses, fruits and vegetables and all sorts of seasonal produce, and much less expensive than the supermarkets. Getting to SMA takes a bit of planning as there isn’t a local airport (except for private planes), so we found the easiest way to get there was by bus. We used Primera Plus but have also heard that ETN are good too. They provide comfortable transport city to city with plenty of space (around 20 seats per coach) and reclining seats for sleeping. We loved our Christmas and New Year in San Miguel. It was a wonderful opportunity to really absorb the local traditions and practice our Spanish with visiting Mexicans from other parts of the country. You’ll find a large number of people from Mexico City and we found them all keen to chat and exchange travel adventure stories over a tequila or two! The city gets extremely busy over Christmas and New Year and so hotels get booked up very early. House Sitting was the perfect way to experience it – giving us a reprieve when the festivities all became a little too much, but enabling us to wander down and pick and choose the parts of the celebrations that we enjoyed being a part of. For more about all the different Mexican Christmas traditions, have a read of this article. Celebrations in Sydney start at the end of November with the lighting of the Christmas Tree in Martin Place, accompanied by a parade and visit from Santa. As Christmas in Sydney is during Summer, the nights and days are warm and the annual Carols in the Domain mean you can sit outdoors on a picnic blanket and sing along to your favorites. In many suburbs, locals decorate their houses with lights, inflatable Santas, reindeer and nativity scenes and there are often competitions for the best lit house. In central Sydney, the windows in David Jones Department Store are a treat for kids of all ages. They often have animated displays of Santa’s workshop or the Twelve Days of Christmas. Throughout December, the lights on St Mary’s Cathedral are spectacular with choir performances nightly. The display is finely tuned to use the features of the Gothic Revival style architecture. Visiting the Sydney Fish Markets on Christmas Eve is a tradition for many, buying prawns and seafood for Christmas Day lunch, which is usually celebrated with family. Oh, and don’t forget the Boxing Day Sales (day after Christmas) which are more akin to a wrestling match rather than a shopping experience! It was December 2017 and Johanne and I were house sitting in the magical pueblo of Tepotzlan, Mexico. Tiny Tepotzlan with just 14,000 inhabitants is tucked away in mountains of Morelas just south of Mexico City. Foreigner sightings were rare; in fact most days were the only non-locals we would encounter. We knew that Christmas festivities were going to be interesting. The evolution of “el centro” was intriguing to witness. On the day that we arrived, work had just begun on building the 20 foot Christmas tree next to the band shell in town. Every day that we sat in the park, new decorations were added to the public space. The evolution was fascinating. By the time Christmas arrived “el centro” was crammed with nativity scenes and street vendors, it was almost impossible to pass through. Kids of all ages played and laughed while music and colour filled the air. The week leading up to the 25th is when the neighbourhood processions begin. In the early evenings families pulled their chairs out into the streets and settled in under the brightly decorated plazas. The spirit was very lively and for some reason unbeknownst to us everyone had a plastic bag. From the churches came solemn processions that paraded the virgin through the barrio and then back to her resting stop in the church. Then, suddenly the side doors of the church swung open and the true spirit of giving emerged. From the community itself came bags and bags of food, treats, toys and all sorts of novelties. The plastic bags that people brought were now stuffed and overflowing with goodies for all. We never once saw a Santa Claus and the kids were not full of expectations and needs. The humble people of Tepoztlan live the true meaning of the season. It is in the giving and sharing with others where they find happiness. Christmas on the Greek island of Tilos is a very quiet event and not only because most of the people don’t speak English. There are very few people on the island, as most leave to visit family. We house sat in a traditional Greek village, built on the side of a mountain with steep stairs and narrow walkways. Capping the mountain is a Knight’s Templar fort which, if you love a challenging hike, offers an amazing view. There are also lots of easy hikes featuring thousands of goats, many small but beautiful chapels dotting the landscape, and it’s also a great place for bird watching as it’s a protected bird sanctuary. You can’t get turkey for Christmas, but you can have awesome pork chops with fresh feta! On Christmas Eve, we were in the house reading and we heard laughter outside. Opening the door, we found three young boys from the village at the gate of the courtyard. When they saw us, they burst into song! They serenaded us with Greek Christmas Carols! 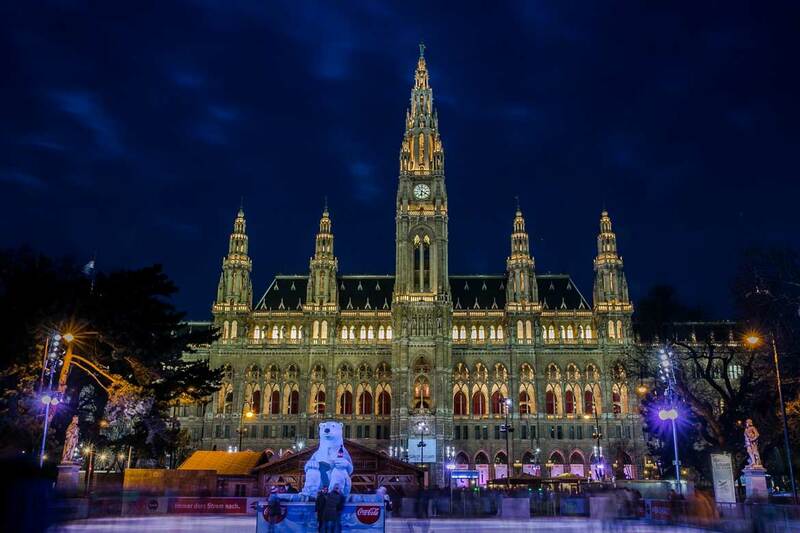 Vienna (Wien in German) is the ultimate destination for house sitting during the Christmas season. The city’s festive atmosphere combined with its seasonal offerings makes it a wonderful base for exploration. If you’re lucky, Vienna is carpeted in snow, adding another level of enchantment to one of Europe’s most beautiful capital cities. You can read more about what we love about Vienna here. Vienna takes Christmas celebrations very seriously. Starting in mid-November, Christmas markets (Christkindlmärkte in German) sprout up at iconic sites throughout the city. Definitely visit a few of Vienna’s 17 markets. My favorite one is Weihnachtsmarkt am Spittelberg, a market lined with food vendors along the narrow streets of Spittelberg. I also love the Christmas market at the summer palace Schönbrunn, and the one directly in front of Karlskirche. Try the Raclette Brot, which is baked bread with delicious raclette cheese. And, don’t miss out on the Glühwein, or mulled wine. Important tip: Many Christkindlmärkte close down completely by Christmas Day, so make your rounds before December 25th. Vienna is advantageously located in Central Europe, and is hence well connected with Western and Eastern Europe. The cheapest way to get to Vienna from other European destinations is by bus. I use FlixBus. For example, a bus from Budapest to Vienna costs 9 EUR and the ride from Prague to Vienna costs 16 EUR. If you’re traveling to Vienna by plane, book well in advance. Could City House Sitting be your Best Option?